I got a nice package in the mail the other day from James over at Chipp 'n' Dale. In the package was a score of Jim Thome cards that I did not already have in my collection. 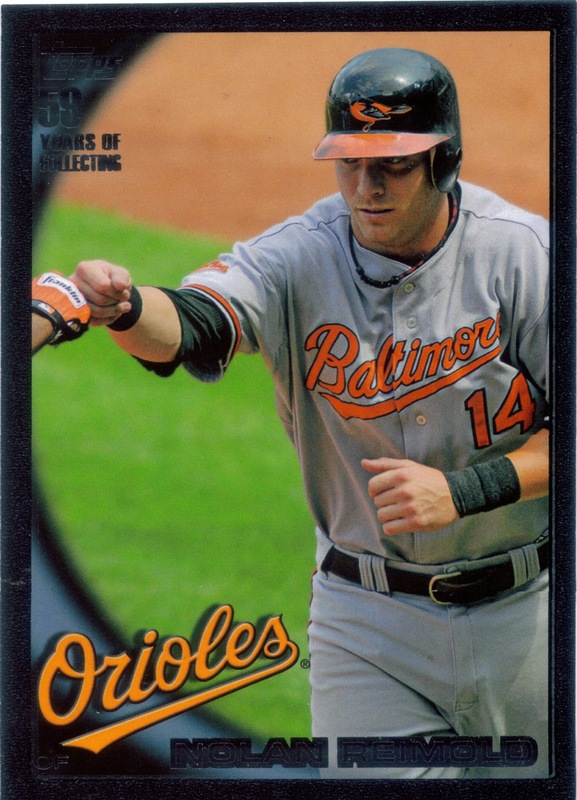 The above 2004 Bowman's Best Thome is really sweet and it makes me really wish the Orioles teams of the 2000s were better since the only players I can get from that set are guys I don't want. 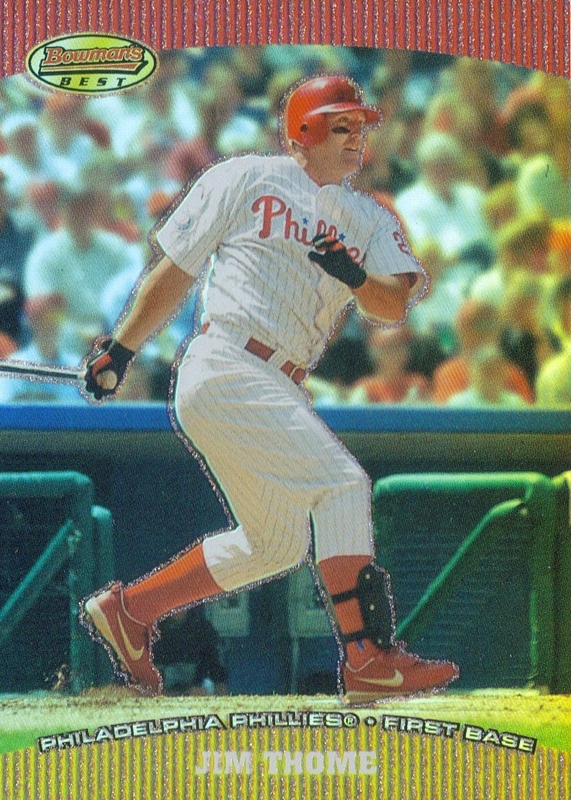 Oh well, good thing Thome was in the set. 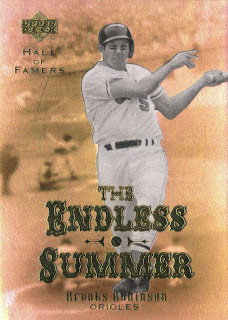 I was also wondering how this 2012 Allen & Ginter highlight sketches Brooks Robinson eluded my collection. It eludes me no longer as James was kind enough to send it my way. Woo Hoo! Also in the package, but not pictured were several of the Orioles post cards. He sent me J. J. Hardy, Tommy Hunter, Chris Tillman and the Oriole Bird. Pretty awesome! Thanks for the package, James! If you guys haven't checked out his blog already, he is a huge Braves fan. Stop in and say hello to him! The last ball I have to show off from my recent auction winnings is this Jeff Bagwell signed baseball. I got this in the auction lot with Frank Thomas from Collect Auctions. I got a really sweet deal on the two baseballs. The ball is a William White ONL baseball. Bagwell (b. 1968) played in the majors from 1991 to 2005 for the Houston Astros. 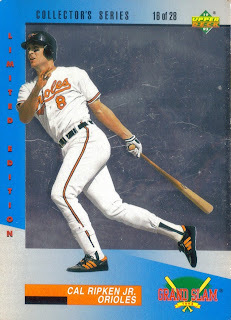 He was the 1991 NL Rookie of the Year and 1994 NL MVP. 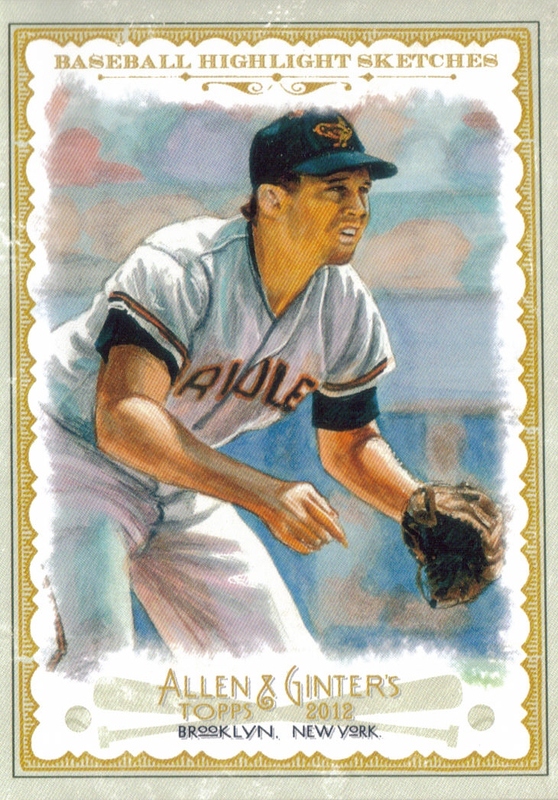 He had 2,314 career hits, 449 home runs and a .297 lifetime batting average. He has been eligible for the Hall of Fame the past 3 years, garnering voting percentages of 41.7%, 56.0% and 59.6%. Many writers have been leaving him off of their ballots because he 'looked like he did steroids.' That's crap. the guy deserves to be in. Period. I'm hoping he and Craig Biggio are elected in the same year and go in together, since the both of them played alongside each other for what felt like forever. I know he will get in eventually. At some point, I will be able to move this baseball into my HOF collection, but as of right now, it will have to reside on a different shelf. The ball is signed by Frank Thomas, future Hall of Famer and 2-time AL MVP. I got the ball from Collect Auctions in an auction lot that actually contained 2 baseballs. Thomas (b. 1968) played in the majors from 1990 to 2008 for the White Sox, A's and Blue Jays. He had 2,468 career hits, 521 home runs and a .301 batting average. Thomas was the 1993 and 1994 AL MVP. His total of 521 home runs ties him for 18th all time with Willie McCovey and Ted Williams. He was a member of the 2005 World Series champion White Sox, but an injury caused him to miss the playoffs. Thomas will be eligible for the Hall of Fame for the first time this January and is likely to be elected on his first ballot. I had another foray into bidding with Collect Auctions a couple weeks ago since I was so happy with what I got last time. I bought three baseballs (out of 2 auction lots) this time, for very awesome prices. The first ball I will talk about is the above dual signed baseball by Bobby Tomson and Ralph Branca. The ball holds significance in that it is signed by both parties involved in the 'Shot Heard Round The World.' The ball itself is inscribed with the date of October 3, 1951, which is when Thomson hit a pennant clinching home run for the Giants against the Dodgers. When both teams finished the regular season with identical records of 96-58, a one-game playoff was necessary to determine who would face the Yankees in the 1951 World Series. This was long before the one and done Wild Card play in game; long before the advent of the NLCS, etc. This was a one-game winner goes to the World Series game, and when Thomson's shot cleared the fence, he etched his name into the history books for all time. Branca and Thompson signed baseballs commemorating the event for years afterward, up until Thomson's death in 2010. I got a surprise package in the mail yesterday from Weston over at 'Fantastic Catch.' 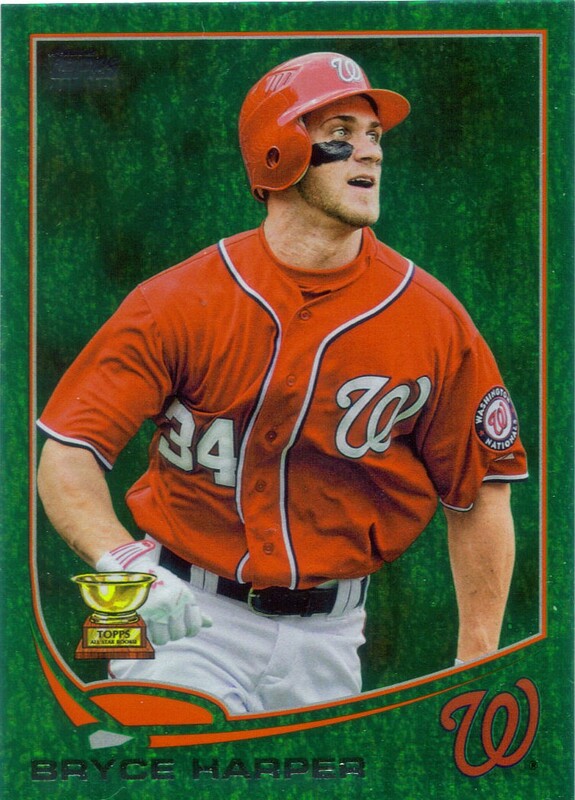 In the package was a bunch of Orioles cards and the (surprisingly) above Bryce Harper 2013 Topps Emerald parallel. Oh man, I was really happy to get this card and knock it off of my wishlist. Some other cool stuff in the package included these two Topps Coins (Cal Ripken and Pete Stanicek) and this Orioles mini helmet. Shockingly, I did not yet have the Ripken coin, so I am also really glad to add it to my Cal PC. Thanks for all of the stuff, Weston! It was really appreciated and I will definitely get you something in the mail soon. In the package that I got from Andrew yesterday, he included an assortment of 2012 Topps Heritage as well as 2 2013 Topps Emerald parallels that I needed for my set. He sent me the above Carlos Gonzalez and also Jason Grilli. I now need only 192 of the 330 cards, so I'm slowly chipping away. I hope I get some more in trades. I have yet to buy a single one that I need for the set. I'd like to prolong that as long as possible. I took part in Andrew's box break recently when he broke a box of 2013 Topps Gypsy Queen. I bought 2 slots in the break for $12 each and picked the Orioles and Tigers. I was awarded the Rockies and Marlins as my random teams. I liked the stuff I got, even though I didn't get any hits. 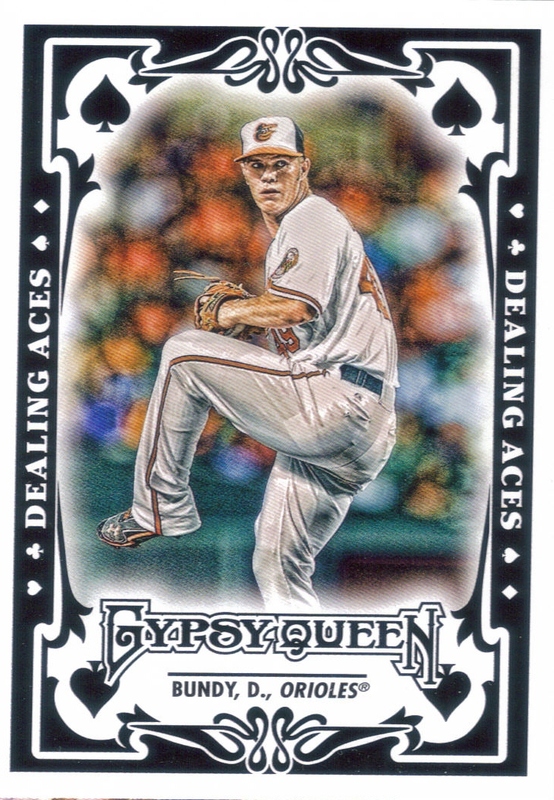 The above Dealing Aces Dylan Bundy is a really cool card. The minis didn't scan all that well, sliding a little crooked on my scanner. I got this really cool Rick Ferrell with the St. Louis Browns. 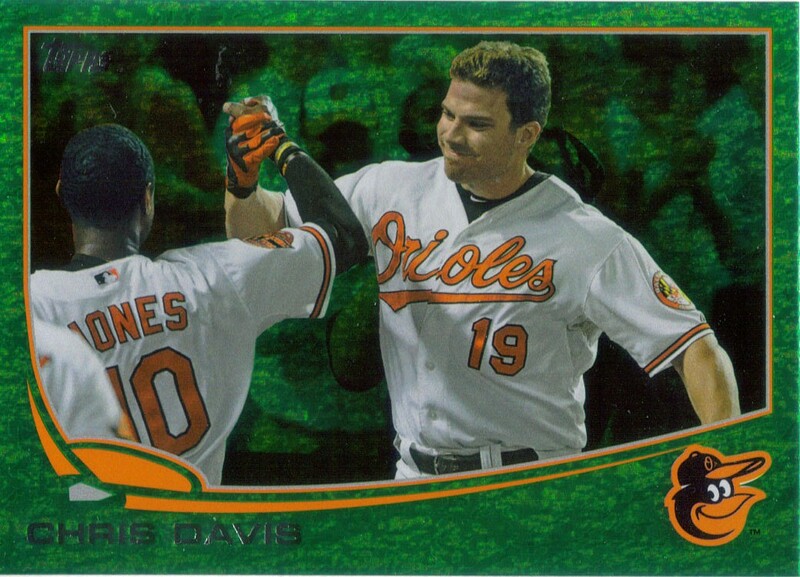 Since the Browns became the Orioles, I was awarded this card. Awesome! 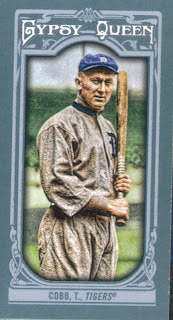 Finally, I got this Ty Cobb that came in the 10-card mini box. I'm going to keep some of the Tigers and all of the Orioles. The Rockies and Marlins I got are definitely up for trade. I really enjoyed the box break with Andrew, so I hope he did as well and has some more in the future. This ball definitely goes into my top two, as far as inscriptions go, right up there with my Pete Rose "Im sorry I bet on baseball". It is pretty awesome, actually. At least Blyleven is honest. He has given interviews in the past about his love for flatulence. I met Blyleven in person in 2010 at an Orioles-Twins game. We spoke for a bit, but I didn't have time to get a baseball out and ask for an autograph. He was really nice, but he didn't fart while we were talking. Blyleven (b. 1951 in Zeist, Netherlands) played in the majors from 1970 to 1992 for the Twins, Rangers, Pirates, Indians and Angels. He had a career record of 287-250 with a 3.31 ERA and 3,701 strikeouts. He won the World Series in 1979 with the Pirates and 1987 with the Twins. He was elected to the Hall of Fame in 2011 (his 14th year of eligibility) with 79.7% of the vote. He is my 84th Hall of Fame signed baseball. 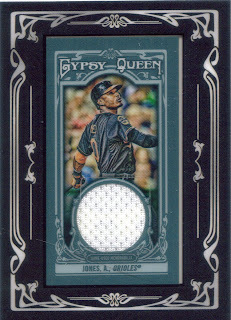 I didn't get any mail today, so I figured I would do a small post on 2013 Gypsy Queen. I bought 2 packs from my LCS last week and I joined Andrew's box break also. In the 2 packs that I bought, I ended up with 3 Orioles: Brooks, Manny Machado and Eddie Murray. The cards look great, as Gypsy Queen pretty much always does. I have been a fan for a while. There are a bunch of inserts this year, and my favorite has to be the 'Dealing Aces' set. Those cards look really cool. I bought a box of Gypsy Queen last year. I doubt I will buy a box this year, but you never know. 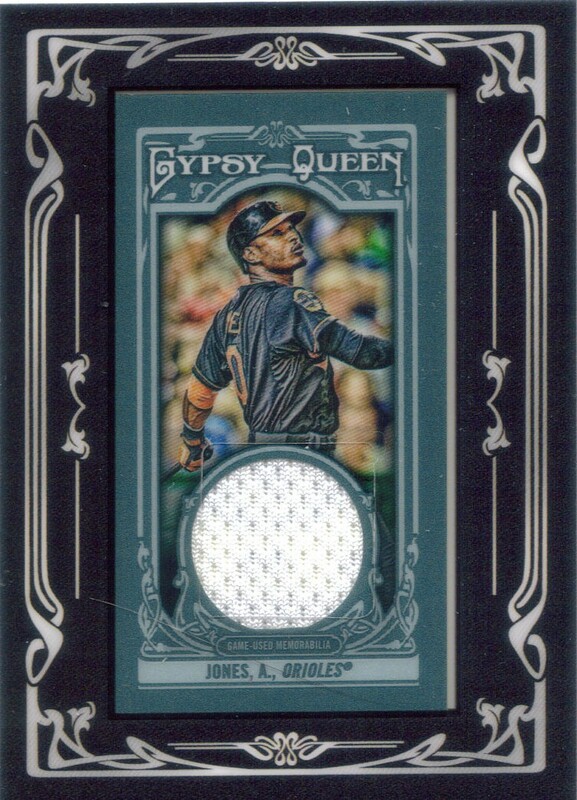 I recently completed a trade with Judson from The Cardboard Habit when I sent him a 2011 Topps 60 Matt Harrison auto and he sent me this 2013 Gypsy Queen Adam Jones relic. I met Judson during Andrew's Gypsy Queen box break. He seems like a really cool guy and has a great blog. I really like the black frame around the relic mini. 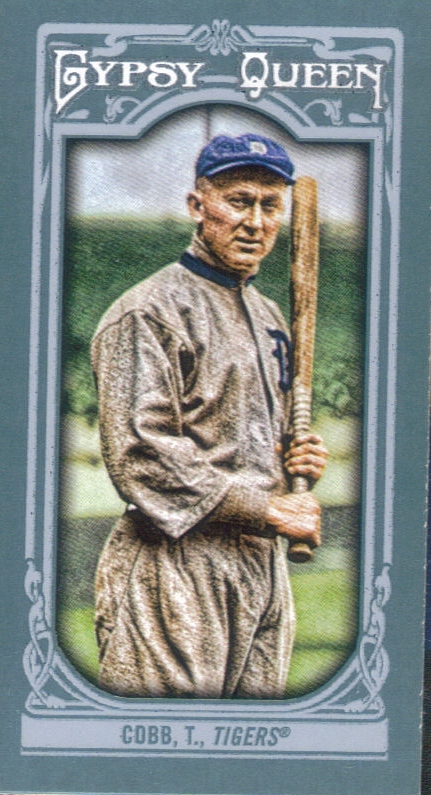 Those and the Ginter relics are always sharp, in my opinion. I can't wait until I get my cards from Andrew's break, it appears that I got some nice stuff. I also hope to trade more with Judson in the future. 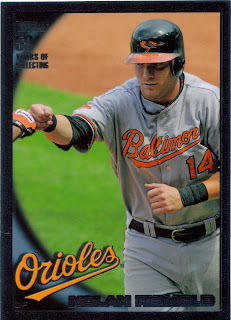 I finally was able to add to my 2010 Topps Nolan Reimold rainbow by picking up the Black Parallel off of Sportlots. I have all of his parallels for this set now, except for the Platinum parallel. I knew where it was, at a card shop near Charlotte, but I waited too long and it had been purchased. Dang. I really want to have all parallels of a year for Nolan. I'm so close with 2010. Maybe one day, I'll see the Platinum available again. It has been over 4 years since I moved out this way from Charlotte, effectively leaving most of my friends and family behind. It is hard for me to get out and meet folks. I don't normally walk up to people and say "Hey, let's be friends. ", because, well, that would be a bit creepy. Anyway, the Town of Winterville (where I live) had a steak cookoff on Saturday. They also had local vendors, carnival rides, etc. One of the vendors was a young fellow named Corey who sells cards. I had seen an ad he placed on facebook about selling a box of cards, so I made sure to stop by and say hello at the festival. I did and took a look at his wares and ended up buying a few bucks worth. A few things for myself and a few trade pieces. Well, not really trade, more like 'random care package' stuff. I got the above 1993 Upper Deck Grand Slam Cal Ripken, the below 2001 Upper Deck Endless Summer Brooks Robinson as well as a few random cards of Hall of Famers: Walter Johnson, Harry Heilmann and Hank Greenberg. Corey dropped by last night and we went through a few boxes of cards together, just to show him a little bit of what I had available for sale/trade. It was nice sitting in the comfort of my living room and talking cards with someone other than my wife. She probably appreciates the break. Chris and I went to the Local Card Shop yesterday to pick up a few supplies and discovered that the proprietor had a box of vintage cards that I have not gone through before. In the box were some 1969 and 1971 Topps that I needed for my sets as well as a few other cards that I picked up for trades and for myself. Some of the cards were in mint condition while others were probably VG-EX. 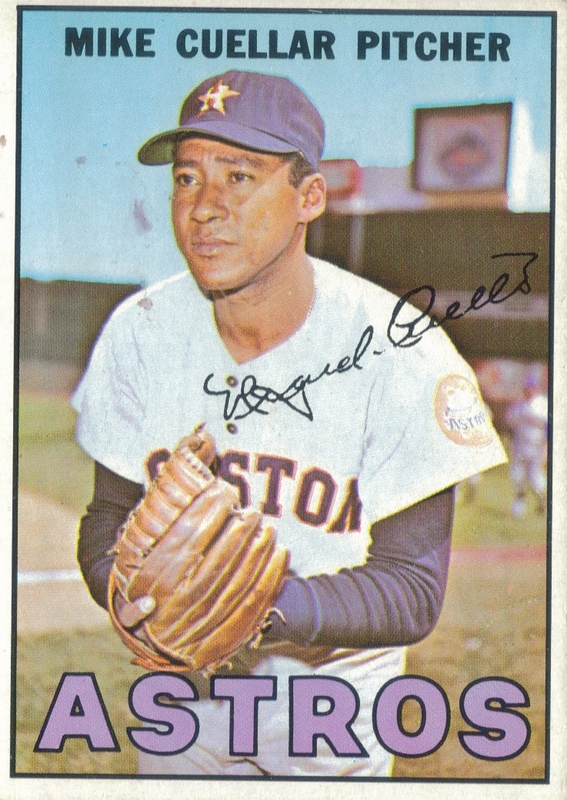 I had to have the above Mike Cuellar for my Cuellar PC. 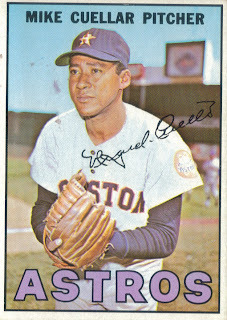 It is a 1967 Topps, showing Cuellar with the Astros, just before he was traded to the Orioles and became a superstar. Here is a 1964 Topps Jim Gentile that I picked up. I grabbed all of the '64s that were in the box because I knew Wendell would give me a good price on the stack of cards (and I was right). So, I was able to chip away at my sets. 1971 is looking like it might get completed this year. I'm not so sure about 1969. We'll have to be a bit more patient with that one, I think. 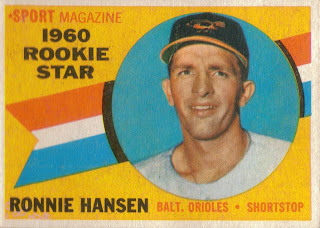 My good buddy, Drew, recently went to the White Plains, NY card show and met former Oriole and 1960 AL Rookie of the Year, Ron Hansen. Hansen (b. 1938) played in the majors from 1958 to 1972 for the Orioles, White Sox, Senators, Yankees and Royals. He retired with 1,007 hits, 106 home runs and a .234 batting average. 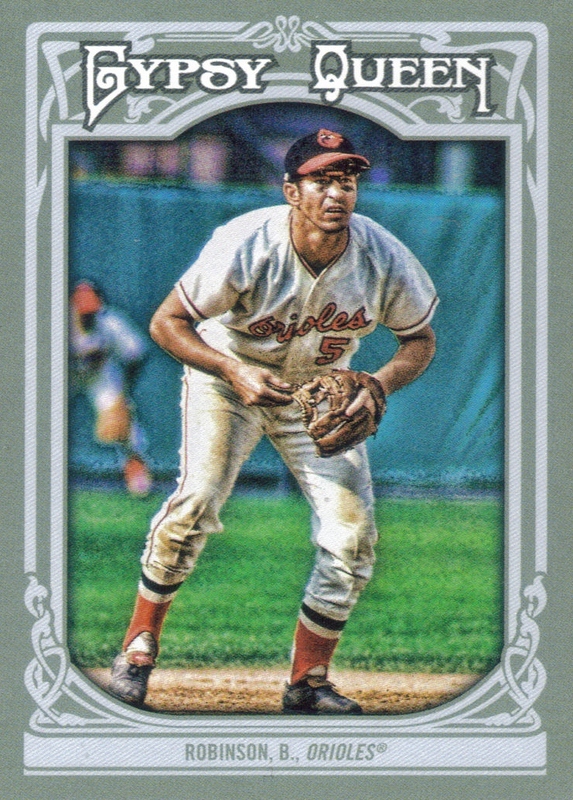 He was with the Orioles he was traded in January 1963 to the White Sox (along with Hoyt Wilhelm, Dave Nicholson and Pete Ward) for Luis Aparicio and Al Smith. The ball is an OMLB (Selig) ball and as you can see, Hansen inscribed it '1960 AL ROY.' Pretty cool, and I have Drew to thank. So, I went to a photo shop in town yesterday and asked them if they could take the 1941 photo negative of Virgil Trucks that I had and develop it into a print. They were able to, at the cost of $11.25. For that price, I got the above (awesome!) 8x10 print, plus a photo CD. Not too bad. The photo came out looking really sharp. A few people responded to the post I wrote (here) about the photo negative and had sent me photoshopped files of what the picture could look like, based on the photo I had taken of the negative (which was really cool. I need to get out more). Anyway, I bought a nice 8x10 frame for the picture and will hang it on the wall in the man cave. I need to shift some things around so I can fit it on the wall, but it will look great, I'm sure. 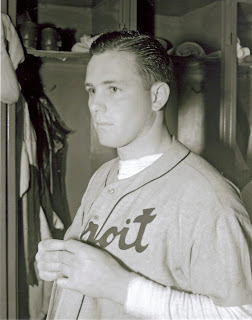 Again, the photo is of Mr. Trucks, taken during the 1941 season in the Tigers' locker room. 1941 was Mr. Trucks rookie season, so This very well could have been taken toward the very beginning of his great career. I got my 72nd TTM success today, Oakland A's GM Billy Beane. Beane, as I'm sure you know, was portrayed by Brad Pitt in the recent movie Moneyball. I really liked the movie and took it for what it was, a Hollywood dramatization of the A's early 2000s season. Beane really is good at what he does, though, as evident by the A's surprising run to the playoffs last year. 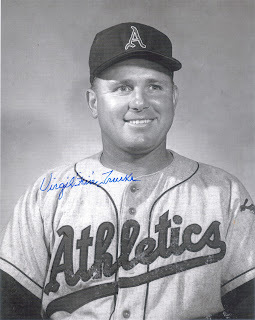 I am a fan of the A's historically, since I have done a great deal of reading on the old Philadelphia A's. I mailed to Beane on April 4 and got him back today, April 10, making him a 6-day TAT. That's awesomely fast, especially it went from NC to CA. Christopher played his fourth game of Rookie level ball tonight and recorded his first hit of the season (a single). He moved to second when the next batter singled; moved to third when the batter after that singled and then scored when the next batter hit a double. Chris is one of the smallest kids on his team. They are 7-8 year olds and a good portion of the kids played on this same team last season. Chris has a lot of catching up to do with the other kids on the team, skill and size-wise. He went a long way toward that tonight! Coach was proud of Chris getting his first hit, hustling hard to each base and listening to him when he gave instructions, so Chris was awarded with one of 3 game balls for tonight's win against the Lugnuts. You can see that Coach wrote Chris' name on the ball, inscribed it 'MVP' and put the score, Rockhounds 15-8. I will put the ball in a cube and display it with my HOF balls. I'm so proud of him right now, I don't know what to do! My first HOF ball in a little while came today. I got it off of Ebay (I got bored while my wife and son were out of town) and actually got it for a whole lot cheaper than his baseballs are selling in Buy It Now style auctions. Puckett (b. 1960 - d. 2006) played in the majors from 1984 to 1995 for the Minnesota Twins. Beloved all throughout baseball and especially Minnesota, Puckett was one of my favorite players growing up. It was a shame to hear about some of the trouble he had gotten into toward the end of his life. Also, it was one of the saddest days that I remember when I heard that he had a stroke. It was just a terrible end to such a beloved player. He played only 12 seasons in the majors before his career ended after he lost vision in his right eye. He had 2,304 career hits, 207 home runs and a .318 lifetime batting average. He was the 1989 AL batting champion. He won the World Series with the Twins in 1987 and 1991. 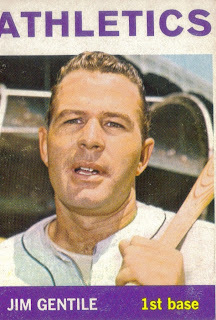 He hit over 200 hits in five of the twelve seasons in which he played. His number 34 was retired by the Twins in 1997 and he was elected to the Hall of Fame in 2001 with 82.1% of the vote (his first year of eligibility). Puckett is my 83rd Hall of Famer. The ball was one of the Historic Autographs Ball of Fame offerings and is PSA/DNA graded and authenticate. It has an autograph grade of 7, ball grade of 6 and an overall grade of 6.5. (2) Autograph Cards and (2) Relic Cards Per Box! (1) 10-Card Mini Box Per Hobby Box! Look for Bat Barrels and Mini Button Cards! I haven't gotten any good mail since my Virgil Trucks Photo Negative (and a thank you card from his daughter for sending her the audio copy of my interview). I have a couple things pending, but who knows when they will arrive. So, after being disappointed by a close loss by the O's tonight (man, they are swinging the bats! ), I figured I better get something posted. Here is that something. 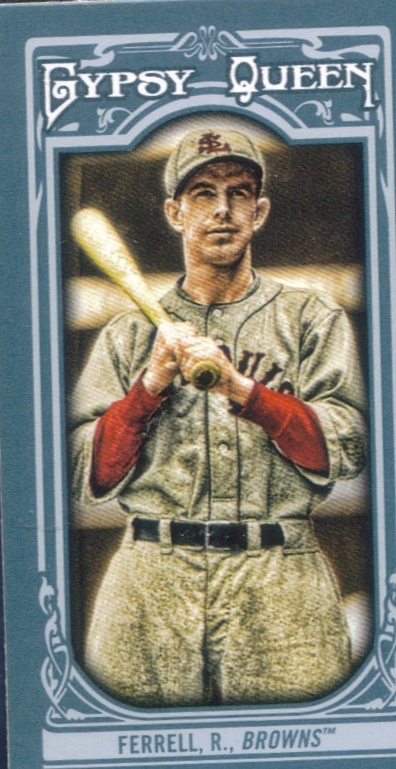 Recently, I went to the card shop and got a few packs of 2013 Heritage. In the last pack, I pulled this mini parallel of Detroit Tigers' pitcher, Max Scherzer. It is hand numbered 100/100 (OH DEAR LORD, EBAY ONE OF ONE!!!!!). Ahem. 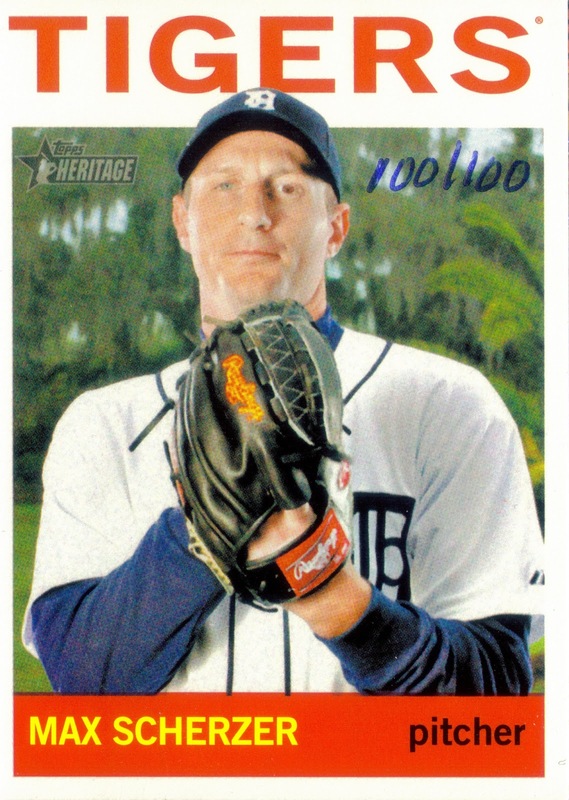 It is hand numbered 100/100, which is kind of cool (Why couldn't I pull Verlander?). Scherzer is pretty good (but he's not Verlander), so I guess I'm cool with pulling it. I know a few Tiger fans who would love to have it, so, yeah, trade bait? If anyone it interested, please shoot me an email. Thanks! I found something really cool on Ebay the other day, an original photo negative of Virgil Trucks in the Detroit locker room from 1941 (his rookie season). I need to figure out a way to get it developed. There are a couple photo places around here that could probably do it, but I'm not sure what they would charge. A friend from work suggested that I try the Photography Department of ECU and see if they could do it. I might send them an email and see. If anyone else has any ideas, I'm listening. It looks like it will be a cool photo once it is developed. I sent an email to my friend (and friend of the blog) Mr. Don McNair last week letting him know that Virgil Trucks had passed away. Mr. McNair's father, Eric McNair, and Mr. Trucks played on the 1941 Tigers together and both had been members of the Philadelphia/Kansas City Athletics organization in their careers. Mr. McNair (Don) had met Mr. Trucks during an Athletics Alumni luncheon a while back and conversed at times. On one of those occasions, Mr. Trucks sent Mr. McNair a signed photo. Well, when I mentioned to Mr. McNair that Mr. Trucks had passed, I made a comment about how I wanted to get a nice photo of him to put on my wall in my 'man cave.' Mr. McNair responded and said "Don't buy one. I have one, signed, that I will put in the mail to you!" The photo arrived today. I'm so lucky that I have been able to interact with some really nice folks during the life of this blog. It makes the collecting experience that much more fun and rewarding. I think, aside from Mr. Trucks, I have conversed with Mr. McNair the most about the hobby and the history of the game. I really wish there were more folks like them so that the rich history of the game could be passed along so easily. Thank you again for the photo, Mr. McNair, it is definitely in good hands! I was able to catch a good portion of the Orioles season opener this afternoon and was pleased to see the Orioles beat David Price and the Tampa Bay Rays 7 to 4. 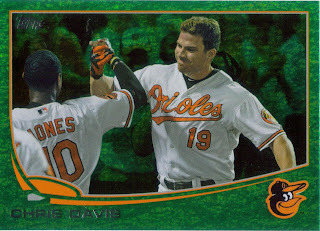 Jason Hammel looked really sharp and the O's brought their bats to Tampa, culminating with a 7th inning 3-run blast by Chris Davis, who had followed Adam Jones' 2-run double and Matt Wieters' double. What a great way to start off the season. I knew beating Price would be tough. The O's need to keep swinging the sticks against the tough Tampa hitters. 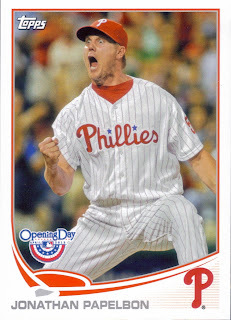 The look on Jonathan Papelbon's face describes how I feel. Opening Night was last night, followed (mostly) by Opening Day today. I watched the Astros - Rangers game in its entirety yesterday and plan on catching a game or two tonight. I was disappointed when I found out that I have to wait until tomorrow to watch the Orioles open their season against the Rays. The game is at 3PM, so I will still be at work. Darn. Anyway, I hope you all enjoy Opening Day!